That expertise is the exact reason that manufacturers need to be blogging about their business and about industry news. Establishing your manufacturing business as an industry leader takes knowledge - but distributing that knowledge is just as important. Blogging is an excellent way to do so. You've invested in many digital marketing tactics as part of your manufacturing company marketing strategy: your website, search engine optimization, keyword research, and social media. If you're tempted to skip blogging as part of your strategy for marketing for manufacturing companies, I understand - it’s time-consuming, and measuring ROI is difficult (but not impossible - check out our ROI calculator for digital marketing here). But it's one of the most effective manufacturing marketing tools, so you definitely need to consider this for your company. Blogging is invaluable to your SEO strategy. block2 "Create content for people, not search engines." Google's webmaster guidelines state this as part of their advice for the best SEO strategies out there. Once you've invested in the research behind what your users want, what they're searching for, and what terms they're using to describe your services, you'll need a content strategy. The quickest ways to distribute and grow that content on your site is through a blog and social media promotion. People are not only looking for content that matches their search results, they're also looking for recent and relevant content. Blogging on a consistent basis is the best way to provide that content to your potential customers. You'll see a rise in sales lead quality and higher conversion rates. According to DemandGen’s 2016 B2B Content Marketing Report, over the last six years, B2B marketers have consistently cited website traffic as their most often used metric in measuring effectiveness of content marketing like blogging. This year, however, the most important metrics are sales lead quality (87%), sales (84%), and higher conversion rates (82%). Blogging has a huge effect on those numbers; we did a case study on increasing sales lead quality for manufacturing, in fact. When our manufacturing client started blogging and creating content consistently, they saw an 89% rise in qualified leads come through their website. 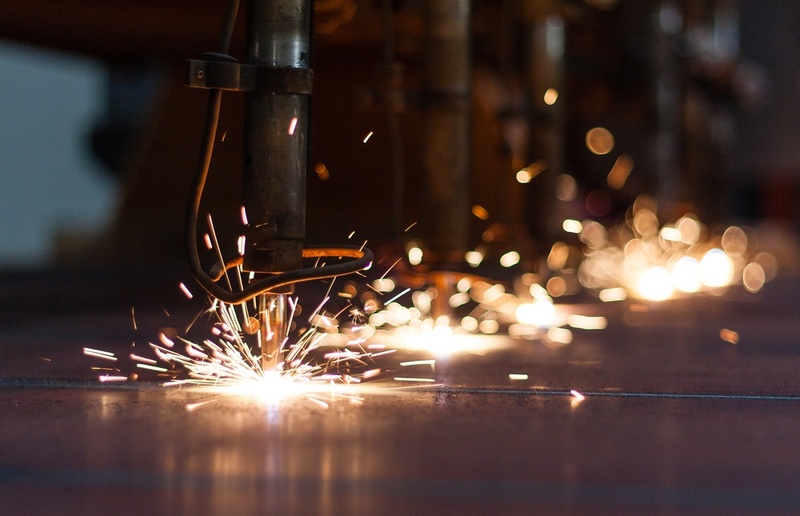 What could a number like that do for your manufacturing business? 89% of B2B researchers use the internet during the B2B research process. You’ll likely save over $14 for every newly acquired customer. That makes blogging valuable for your business, as well as valuable to your potential customers. Value on both sides creates a positive investment. Creating relevant content is the next step to starting a blog for your manufacturing business. Read more here, and learn more in our bi-weekly webinar series.